Spine TV is delighted to present filmmaker and photographer Will Robson-Scott’s new documentary Graeme. 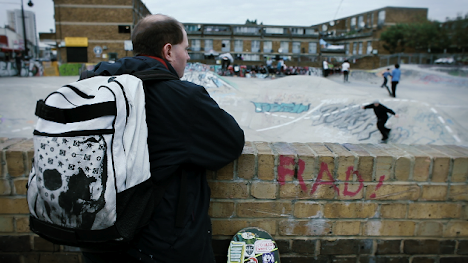 Graeme is a passionate skateboarder who has been a staple of the London skate community for 25 years. A regular fixture at every skating event, his eccentricities and enthusiasm for the sport are accentuated through his condition, Asperger’s syndrome. Everyone has something in their life that puts a smile on their face; for Graeme this is skating.